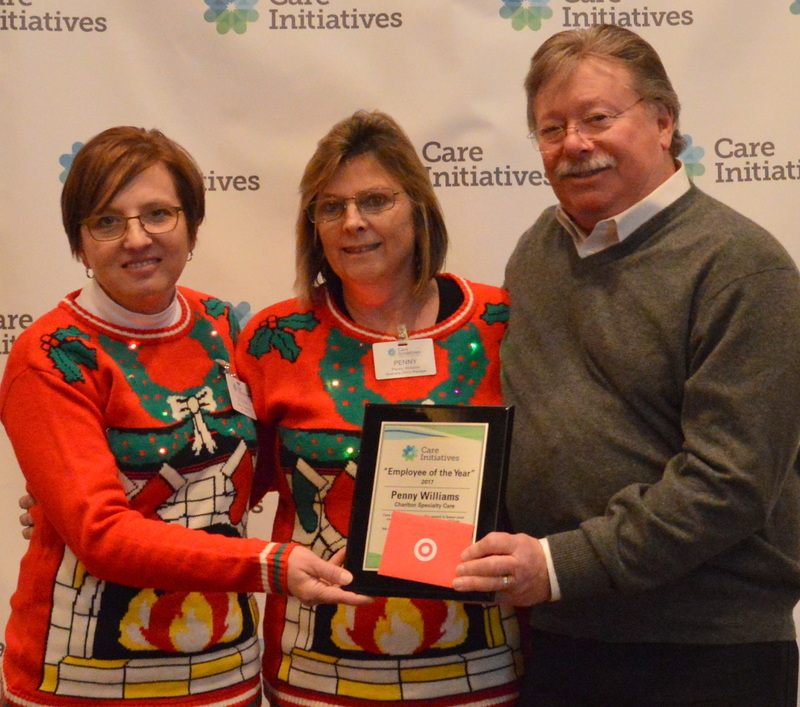 Penny Williams, business office manager and certified nurse assistant at Chariton Specialty Care, has received the Employee of the Year Award at Care Initiatives’ annual award brunch Friday, Dec. 15 in West Des Moines. The Employee of the Year Award is given to a nominated employee who best demonstrates the company’s Mission Statement: Improving quality of life for Iowans and their families during life’s health transitions through compassionate, individualized care. “She takes a leadership role in orientating new staff from start to finish and emphasizes that we are a team here and that it takes everyone to be successful,” Humphrey said.